Our company is the only official representative of metallurgical concern Voestalpine in Belarus and the Baltic States. 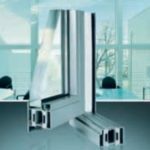 The VoestAlpine profiles for several decades around the world with success are used in various areas, mainly at production of doors, hatches, gate, partitions. Properties of steel are a protection guarantee against breaking, a lumbago, a fire and a smoke, and also against explosion, even when using simple models of locks. 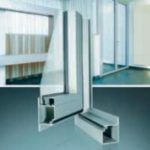 Wall thickness in 2 mm provides the mechanical durability, a good welding and safe bolting connections. 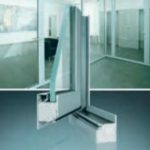 Doors from profiles of the VA-FIRE and VA-FORM series conform to high requirements to smoke defense and to a continuous operating mode (the class C5 – 200 000 cycles of opening). Profiles possess small visible width. Faultless appearance for many years provides a polymeric or paint and varnish covering. The designs made of the VA profiles, don’t cause damage to environment and is again processed. Doors, hatches, gate, the partitions made of VA system, guarantee long service life even at the highest daily loadings.